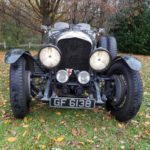 The Bentley Motors Records show that Chassis KL 3597 / Engine KL 3596 was laid down on 28/09/1929 and the final test was on 06/12/1929. 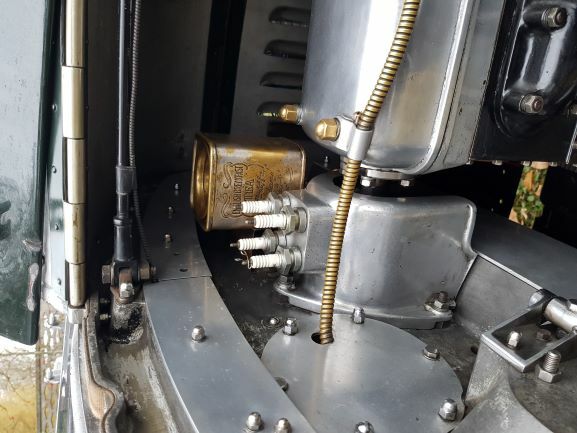 The car was fitted a 15/53 axle ratio, „C” type gearbox and standard chassis length. 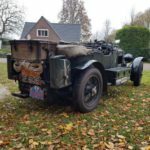 The body was a Van den Plas Sports 4-seater, Body No. 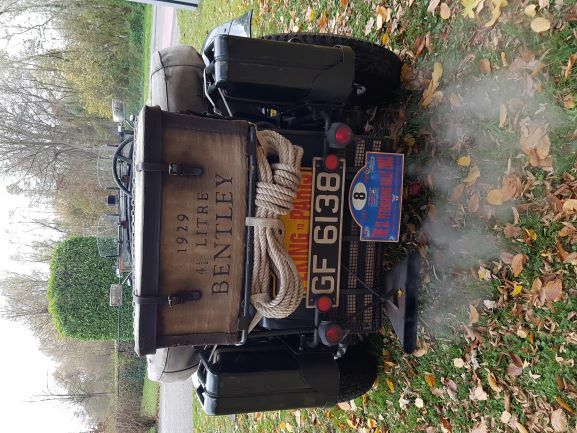 1627. 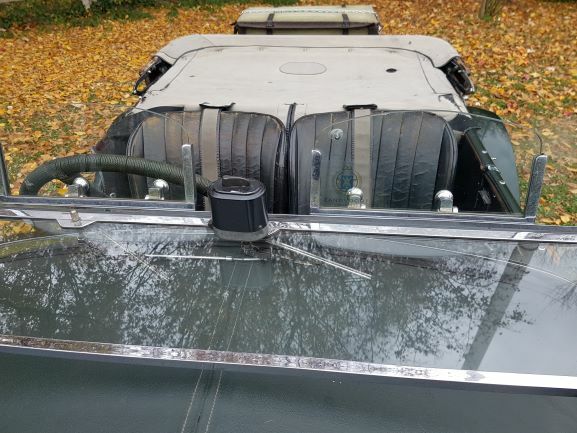 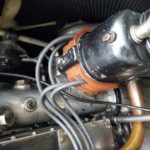 Later the chassis was shortened by one foot, and around 1986 the KL 3597 was completely refurbished, the running boards modified to cycle wings and the fuel tank capacity altered to 140 liter. 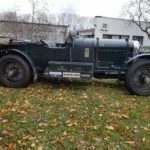 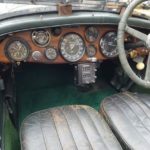 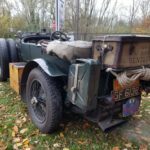 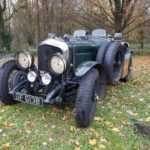 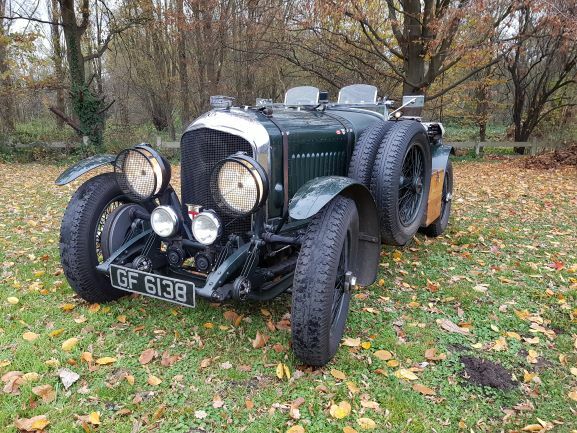 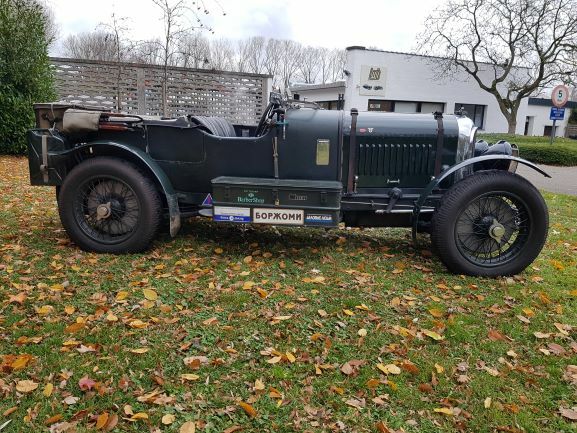 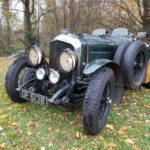 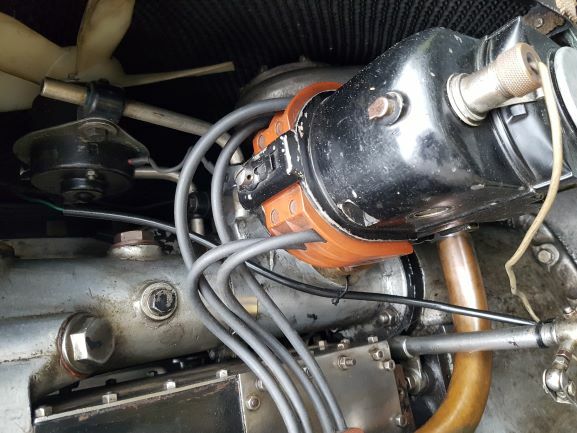 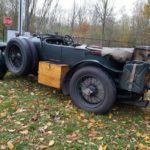 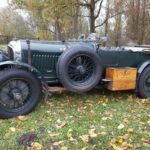 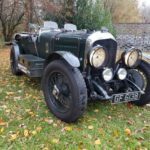 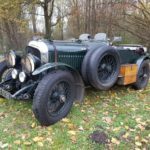 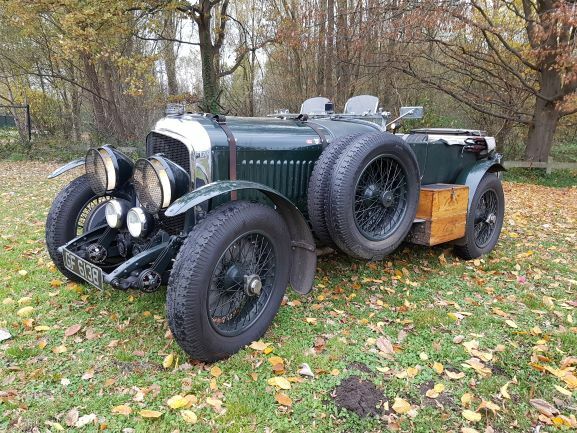 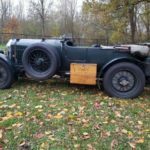 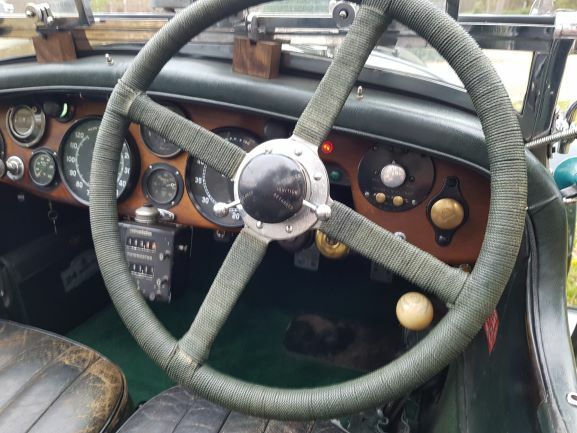 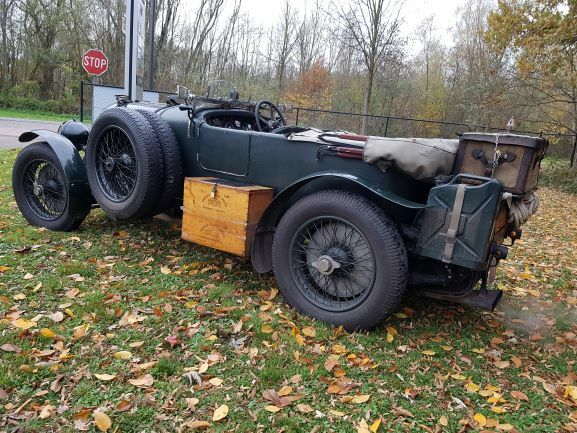 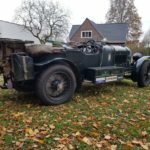 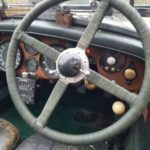 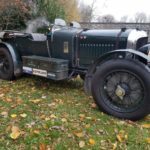 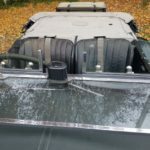 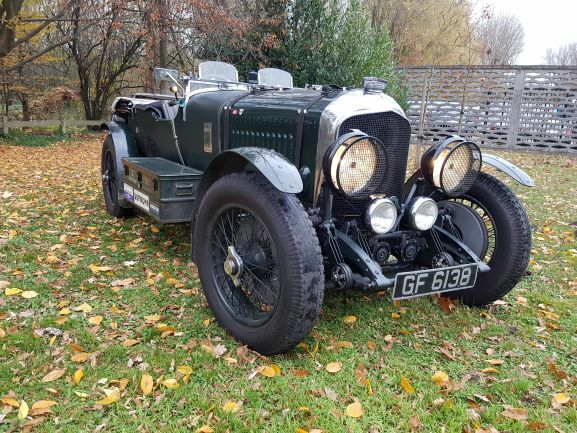 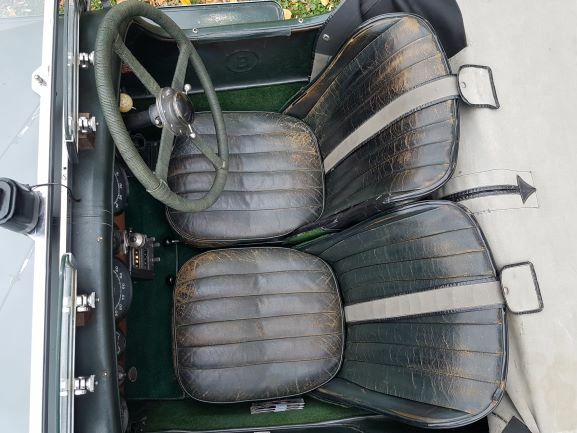 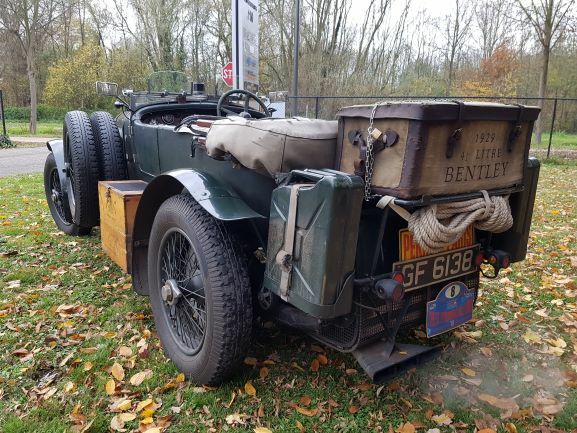 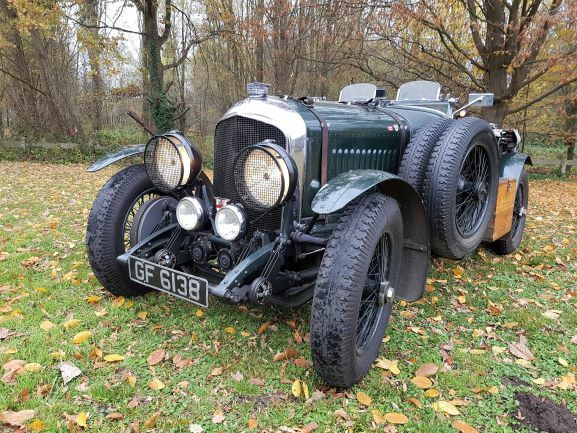 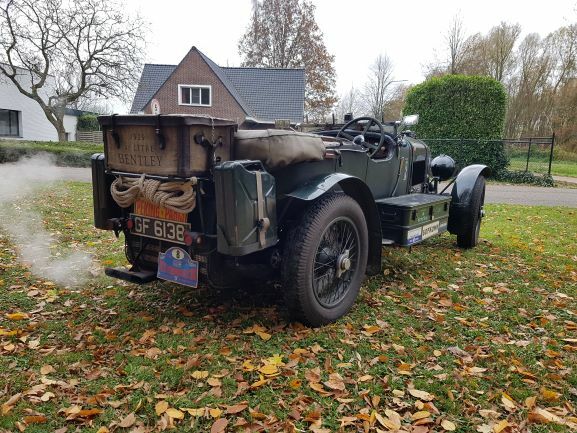 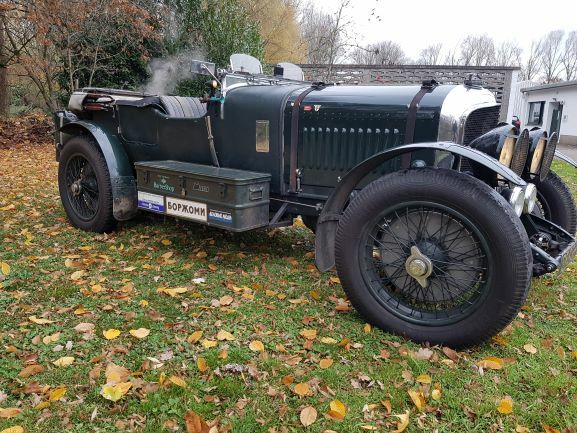 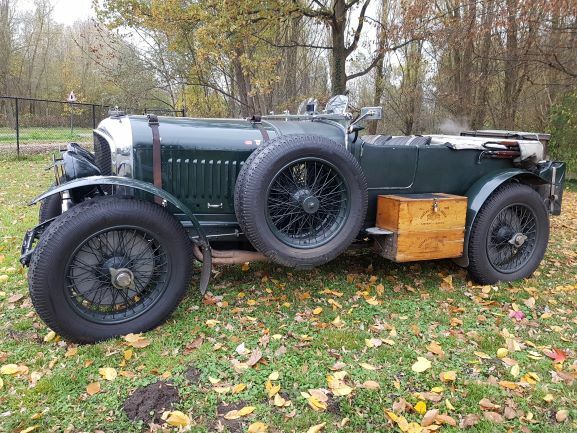 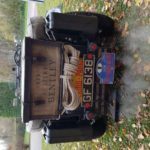 In the present ownership this Bentley has been further developed into a comprehensive intercontinental vintage rally car and long distance travel and touring vehicle. 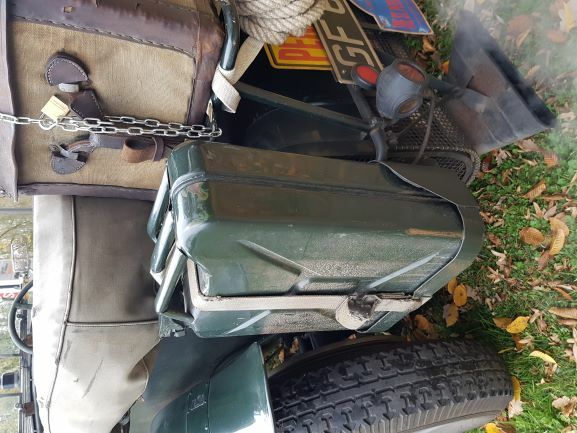 Watertight toolboxes, wooden boxes and baskets have been integrated and an extra spare wheel and two Jerry fuel cans have been fitted. 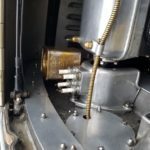 Further the engine now has a Phoenix shell bearing crankshaft with Phoenix connection rods and two 2 inch SU carburetors and a Laycock de Norman-ville overdrive. 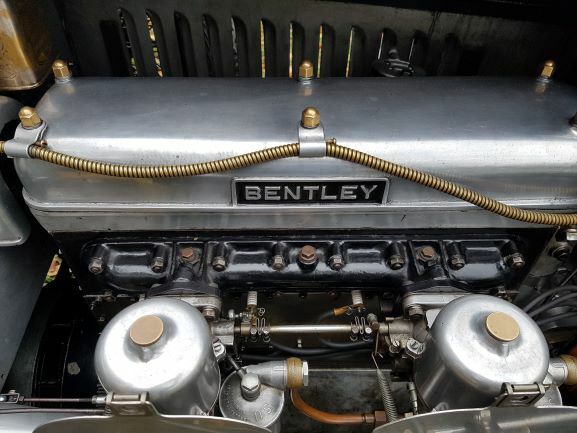 The engine delivers over 180 horsepower and is very torquey with Complete docility and reliability. 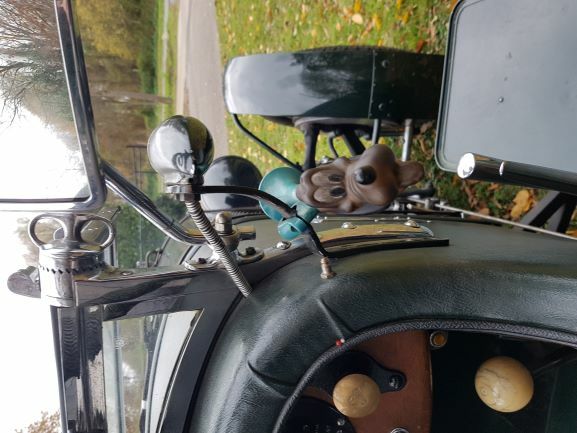 It will pull away easily with no fuss from 800 RPM to top speed in overdrive! 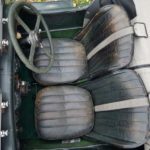 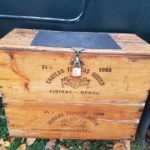 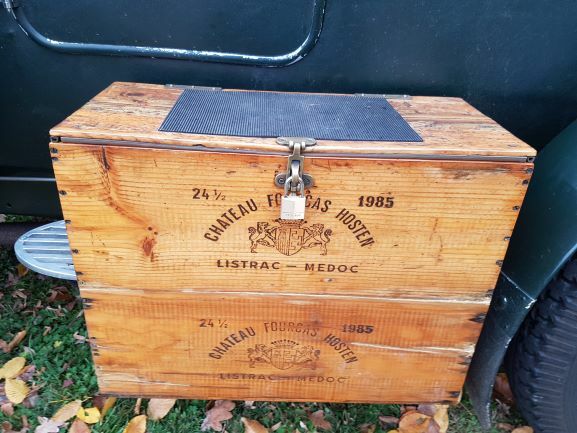 The first owner was Miss M.B. 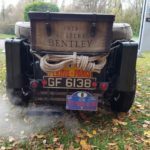 (Betty) Carstairs of 5, Mulberry Walk, Chelsea, London. 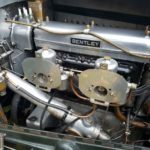 Betty Carstairs was famously rich and as a powerboat racer she was the fastest lady on water. 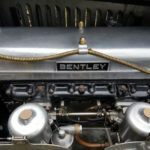 She was befriended with Woolf Bernato and the circle of Bentley Boys. 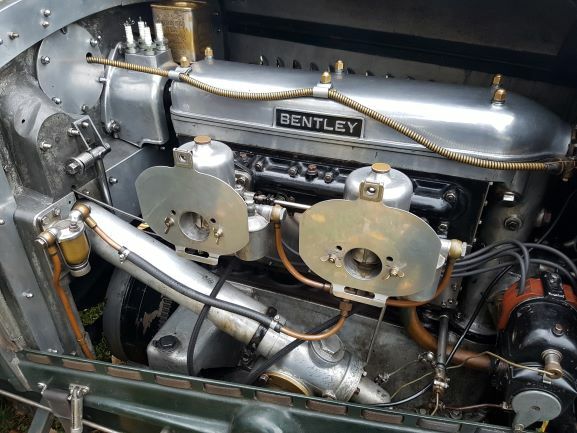 After Betty Carstairs this Bentley had 15 UK owners until the present owner bought the car from Stanley Mann in 1987. 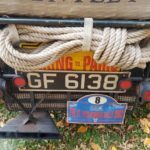 All ownerships are on record as are the registration papers. 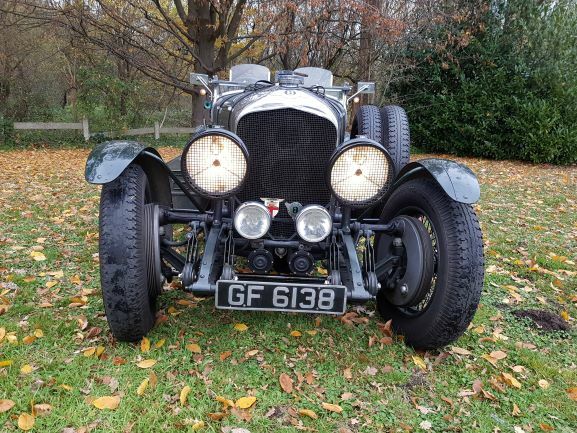 Since 1987 this Bentley has been used extensively for various facets of motorsport. 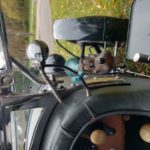 It has especially done many long distance rallies and tours, e.g. 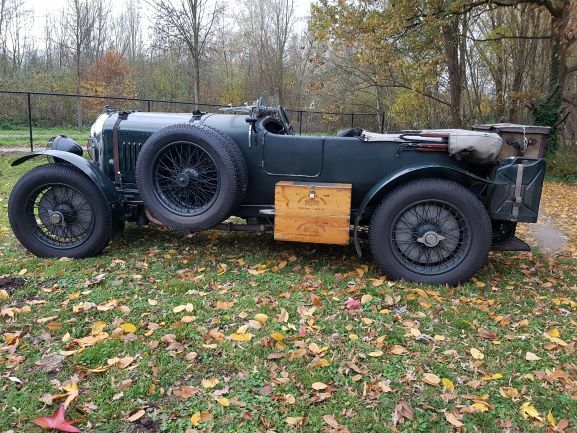 to New Zealand, South Africa (3x), Singapore, Malaysia (2x), Thailand, India (2x), Nepal (2x), Pakistan, Iran, Turkey, Siberia and being all over Europe incl the Azores, the Outer Hebredies, North Cape and all the way to Murmansk in Russia. 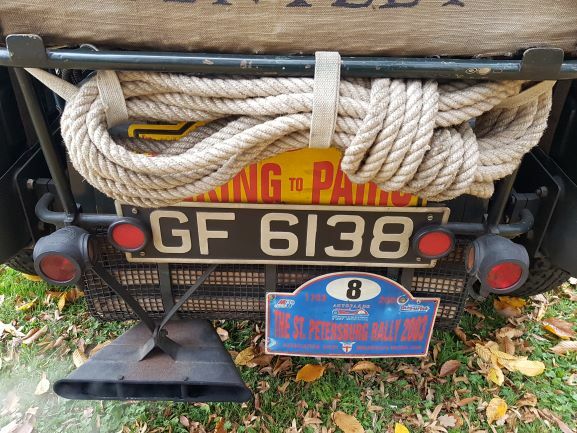 A mayor undertaking was the successful participation in the first modern Peking-to-Paris Motor Challenge in 1997. 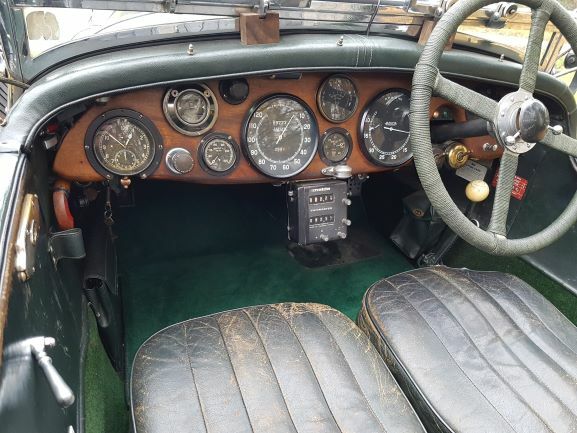 It has also done duty at hill-climbs, sprints and club races in the UK and Continental Europe. 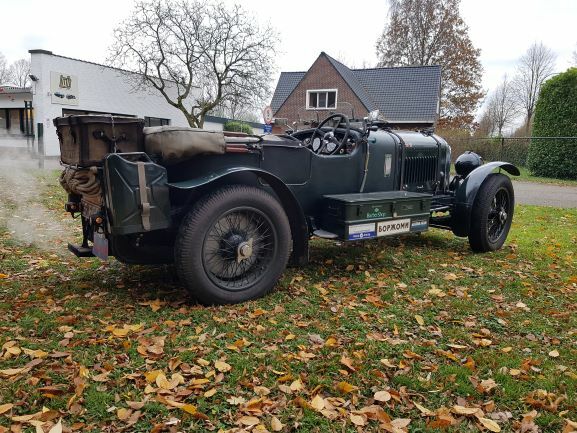 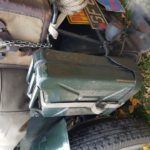 Still carrying the original Betty Carstairs registration „GF 6138” this 1929 Bentley 4,5 Litre, Chassis KL 3597, is one of the most sought after of the various Vintage Bentley types. 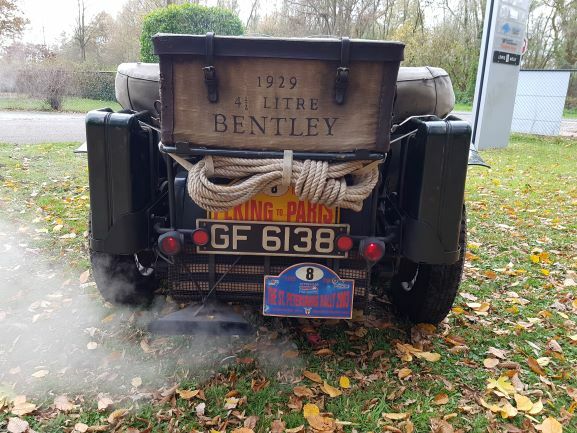 The 4,5 Litre engine is very powerful, yet docile, and will with its overdrive transmission undertake travel in any road conditions anywhere and has proven to be home in any climatic environment from the Arctic to tropical rainforest and deserts areas.